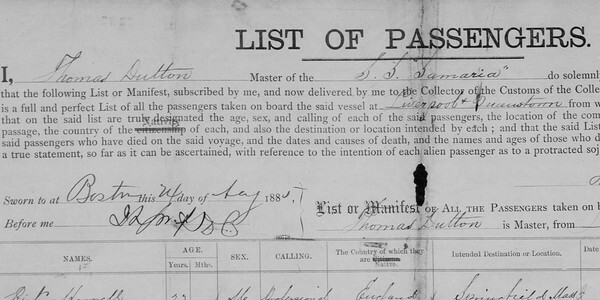 Tracing immigrant ancestors can prove a bit of a challenge, but the naturalization petitions we have contain the details of many immigrants applying for citizenship. 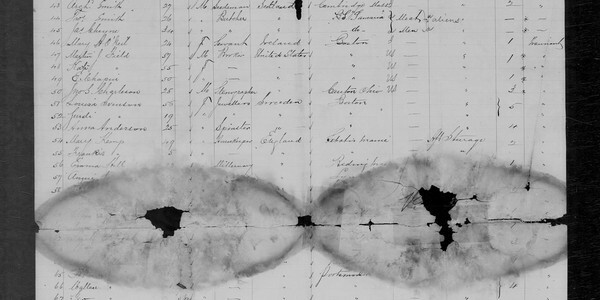 Much like today, moving countries required a lot of paperwork, much to the joy of us genealogists! 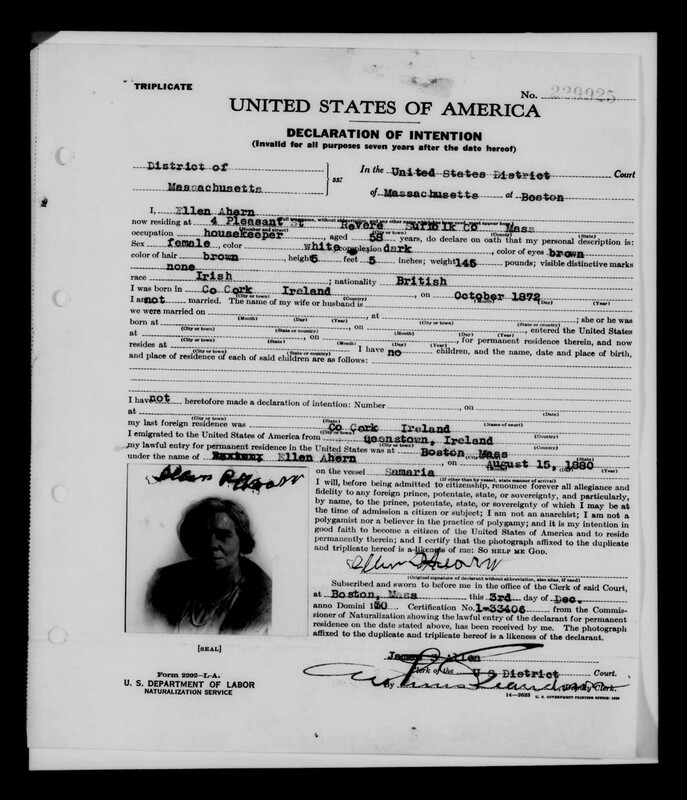 Click on the image to search naturalisation records. 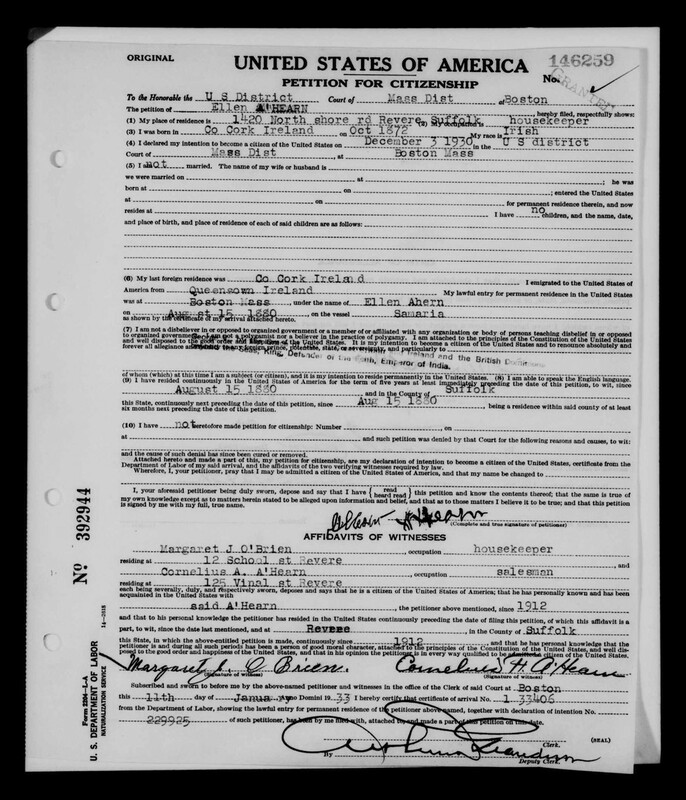 With over 11 million names covering 200 years of US immigration, naturalization records could be the key to discovering a stateside branch of your family tree. Some of the records are incredibly detailed, even including photos and details of fellow travellers. 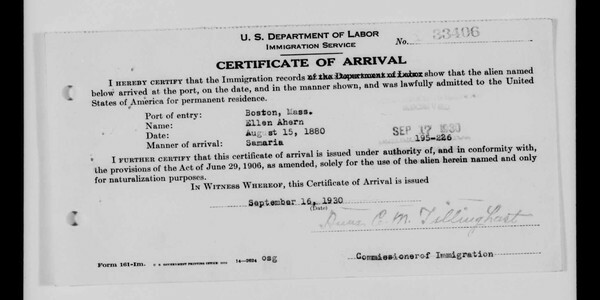 In most cases, images will contain additional information, such as the certificate of arrival, which will indicate when the immigrant arrived and how they travelled to America. Don't miss out: The naturalisation process was a multi-year, multi-step process, and most applications have at least two documents. Be sure to use the previous and next buttons to make sure you don't miss anything! Use the left and right arrows to navigate the slide show, which shows the many things you can learn from these incredibly detailed records. It turns out a portion of this document was severely damaged. Could we possibly find evidence of Ellen if we zoom in? It seems like we can make out a very faint "Ellen" but not much else. Is it her? It's hard to prove for sure, but it seems quite possible. The names immediately before and after her are also lost due to damage, which is unfortunate, we would like to see if we recognise the name or origin of anyone she travelled with. After filing intention, an applicant needed to wait three years for the next step. As we can see, Ellen filed her intention in 1930. We see similar details to what was uncovered in her first form, but now notice two associates, Cornelius A. A'Hearn (who seems to be a relative, but curiously has only known Ellen since 1912) and Margaret J. O'Brien. More leads to research. Here we have evidence of the final step. 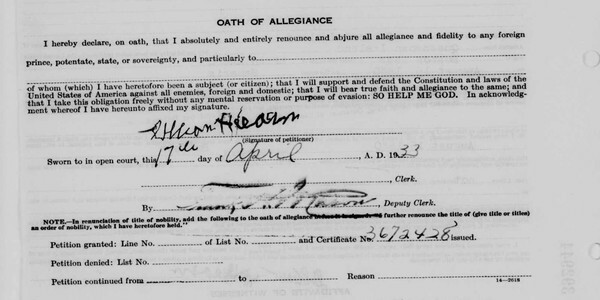 Ellen was sworn in as a citizen on April 17th, 1933. Over 50 years after she immigrated to the United States, she finally became a citizen. 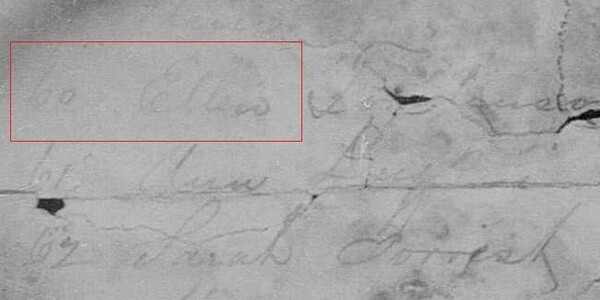 There isn't much information to be gleaned from this document (other than the fact that the poor handwriting in her signature implies she may not have written very much). But it's still an amazing piece of family history to have and treasure. 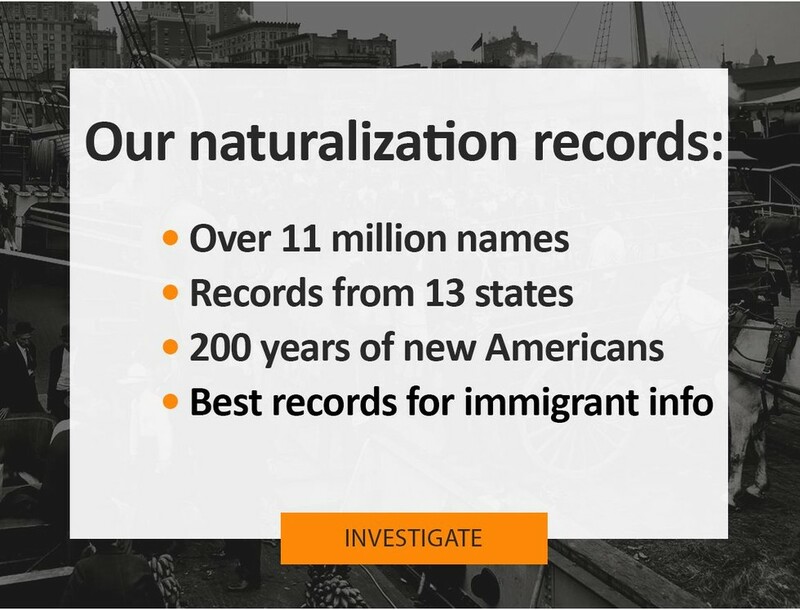 Try searching naturalization records now.